Head north west along the shore of Loch Ryan from Stranraer and you reach a roundabout at the major junction in the northern part of the Rhins of Galloway. This lies at the foot of a loop of road: turning right takes you up the west shore of Loch Ryan to Kirkcolm, while carrying straight on takes you to Leswalt. Leswalt itself is built around its large parish church. This dates back to 1828, though a longer history is suggested by the remains of a medieval church nearby. 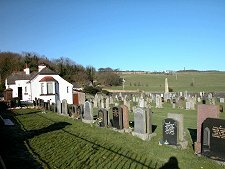 In the 1700s the village was known as Kirk of Leswalt, placing the earlier church very much at its focus. Much of the remainder of Leswalt is more modern in appearance. 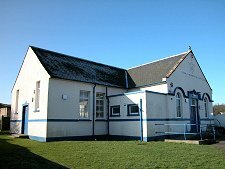 The Memorial Hall was built in 1927 and the school is of a similar vintage. 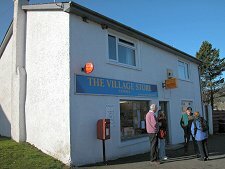 The village store and post office is still more recent. The long history of this part of the Rhins becomes clearer a mile or so to the west. Here the ruins of the first Lochnaw Castle can still be found on a small island in a loch, dating back to the 1300s. This was replaced in the early 1500s by a more practical and accessible tower house on the south shore of the loch. Later extensions to this, which included accommodation used as an RAF hospital in WWII, have been demolished. Head north from Leswalt and the B798 eventually turns east. Minor roads north of here lead to the Corsewall Lighthouse, built in 1816 by Robert Stevenson. 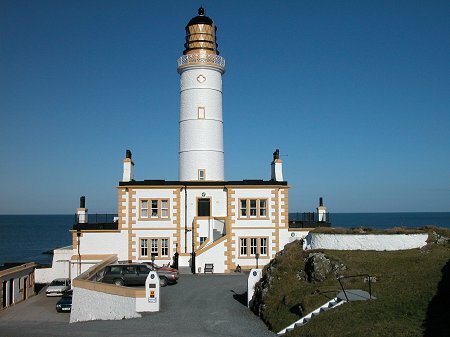 The lighthouse was automated in 1994 and the accommodation since converted into the 4 Star Corsewall Lighthouse Hotel. As you approach the lighthouse keep a lookout on your left for the partial remains of Corsewall Castle, now little more than a basement and a partial wall. 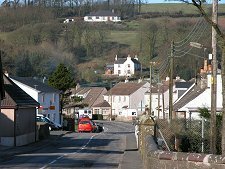 Following the loop of roads back towards the seaward end of Loch Ryan brings you to the village of Kirkcolm. This was first established in 1613, but then redeveloped as a planned village in the 1780s. 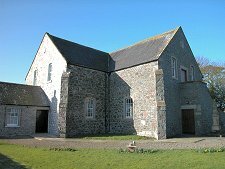 You can complete a tour of the northern end of the Rhins of Galloway by travelling south from Kirkcolm back to Stranraer. As you do so, watch out just south of Kirkcolm for the traces of the large flying boat station that was established here during WWII.